The leader of the infamous Chotoo gang, Ghulam Rasool, his brother “Pyaara”, and 18 other convicts from various gangs were sentenced to death on 18 counts by an anti-terrorism court (ATC) in Multan on Tuesday for killing six policemen in Punjab’s Rajanpur katcha area in 2016. Two other convicts, Qasim and Abdul Samad, who were below the age of 18, were awarded life imprisonment on 19 counts. Those belonging to other gangs included members of the Sikhani gang, Inder gang, and Changwani gang. On April 13, 2016, police teams from Bangla Ichcha police station along with policemen from other stations in Rajanpur district had conducted an operation against the Chotoo gang in a forest area. The police teams, however, came under attack from the criminals who killed six policemen and left another eight injured. Twenty-four other policemen were taken hostage by these gangsters but released nine days later, court officials told APP. The convicts included: Ghulam Rasool alias Chotoo, his brother Pyaara, Nadir, Deen Muhammad, Khalid alias Khaldi, Ishaq alias Bilal, Akram alias Akri, Ghulam Haidar, Hakim, Razzaq, Majid, Nasir, Sher Khan, Jumma alias Bhutta, Rasheed, Behram, Bashir, Abdul Wahid, Mujeebur Rahman, and Hussain Bakhsh. The ATC-I judge handed down death sentences to the convicts on six counts under Section 302 of the Pakistan Penal Code, six counts under Section 7 of the Anti-Terrorism Act (ATA), 1997, and another six counts under Section 3 of Explosive Substance Act, 1908. All the 20 convicts will also undergo life imprisonment. They will also have to pay over Rs 6.2 million in fines each or undergo additional imprisonment in case of default. The convicts are in police custody at the New Central Jail in Multan where they will serve the sentences given to them. They have 15 days to appeal their sentences in the Lahore High Court, if they so desire. Ghulam Rasool alias Chotoo, the ringleader of his gang, worked as a security guard for MPA Atif Mazari for three to five years in Rojhan. He also worked for the Punjab police as an informer till 2007 and used to inform police about gangs involved in robberies and kidnapping for ransom in Rajanpur and Muzaffargarh districts. 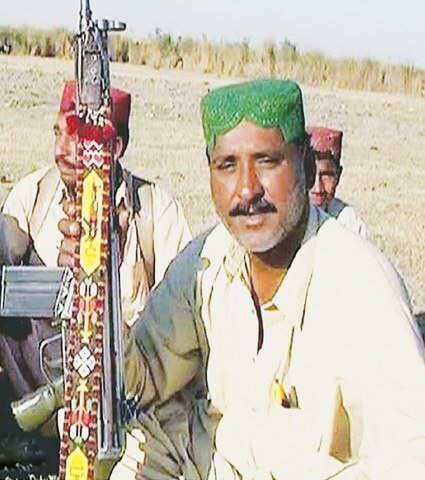 According to locals and police, Chotoo belongs to Bakrani clan of Mazari tribe of Rojhan area. He later developed differences with police over unknown reasons and established his own gang to carry out criminal activities. Some small and prominent gangs operating in Rojhan, Dera Ghazi Khan and adjoining districts of Sindh and Balochistan also joined the Chotoo gang. They included Bilal alias Bilali Jaakha, Baba Long, Gumani Gopang, Sindhi group, Bosans of Muzaffargarh and Khalid Kajlani. The riverine area of Kachi Jamal in Rajanpur, a former stronghold of the Chotoo gang, had a population of more than 10,000 people living in small villages. They depended mostly on rearing animals and farming. Chotoo was known for helping the locals and never carried out any criminal activity in the area. But he made it a no-go area for police who found it almost impossible to get information about him from the locals. A large operation was carried out by Rajanpur and Rahim Yar Khan police against the Chotoo gang in 2010 which continued for three months, but to no avail. Another operation was conducted in 2013. During an operation in Kotla Mughlan area of Rajanpur some years ago, police succeeded in recovering a doctor from the gang and killing a gangster. However, security forces achieved a real breakthrough when the Pakistan Army announced in April 2016 that it had successfully completed operation Zarb-i-Ahan as a result of which the leader of the Chotoo gang along with 13 gang members “surrendered unconditionally to the army”.